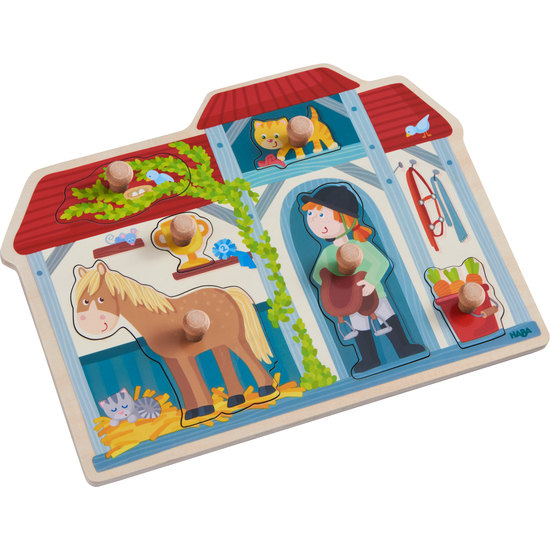 Young horse lovers can learn a lot from playing with this attractive clutching puzzle: crunchy carrots as a treat for our four-legged friends, a golden trophy from the last dressage competition and, of course, a saddle and a bridle. The puzzle pieces are easy for small children to manipulate. They will enjoy piecing the puzzle together on their own or together with others.